LOGO: The customer’s own logo can be customized on the handle. The location of the Logo can be determined by the customer. You can also do logo on the bucket. Logo selection: you can do OEM, sticker, laser logo. Handle: Handle material: Iron handle, Stainless steel handle, Wooden handle, Aluminum alloy handle. Color: You can choose any color you want. Want to know more about the broom wire material, you can refer to: Broom wire introduction. Packaging: The broom packaging mainly includes: carton packaging, color box packaging, and blister packaging. Customers can choose the packaging according to their needs. 1.Customer provided design drawings.The customer provides design drawings, brand LOGO, materials and colors. Note: Regarding the design drawing, the customer is required to indicate the size of the product, including the thickness of the product, the more detailed the better. Regarding LOGO, it is generally recommended to print LOGO on the enamel and on the broom head. It can be directly labeled or engraved on it to see the customer’s preferences. Of course, the location of the LOGO also needs to be marked on the design drawing to facilitate factory production. Regarding the material, the material of the broomstick is generally made of stainless steel and solid wood. The bristles are all kinds of elastic yarns and bristles. The main materials are all available to customers. Regarding the color, the customer can choose according to their own preferences, or can refer to the color in the color card to select. 2.Factory production sample.Confirm the customer’s design requirements, hand over the design drawings to the factory, and start mold proofing. Generally, it takes 7 days to proof, depending on the arrangement of the factory. The cost of opening the mold proof needs to be confirmed separately. The details can be exchanged by mail. 3.Send samples.The factory completes the proofing and delivers the sample to the customer for confirmation. If the customer is satisfied with the sample, they can sign a contract and cooperate. If the customer finds that the sample does not meet the design requirements, the factory can make a second modification, and the cost of the modification needs to be borne by the customer. After confirming the sample, sign the contract. 4.Factory production.After establishing a business relationship, the factory began mass production. Under normal circumstances, the completion of an order takes 25-40 days. The daily production of the factory is about 3,000. 5.About logistics: After the production of the product is finished, there will be a special quality inspector to check the quality of the product. After no problem, the shipping company will be contacted for shipping. If the amount of customization is large, there is no need to bear the sea freight. If the order quantity does not meet the shipping conditions, the sea freight will be borne by the customer. 6.About the packaging: the inner packaging is a carton, and the outer packaging is a corrugated cardboard box. 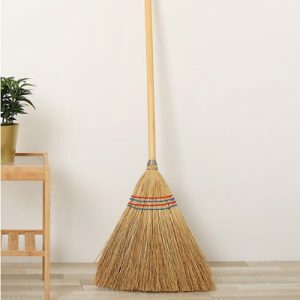 Because the size of the broom itself is a bit large, we all disassemble the broom, and the customer needs to install it after receiving the goods. 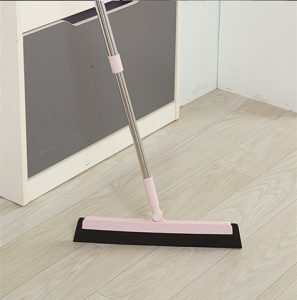 The broom is easy to collide during transportation and will scratch the plastic. 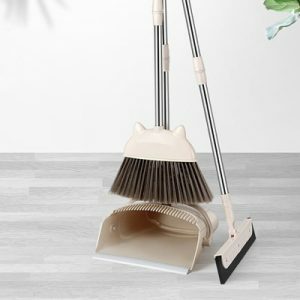 Therefore, during the packaging process, we will separate the plastic and stainless steel into bags, and then put a complete set of brooms into the same carton to avoid collision and scratching. A small number of products will have a small scratch during transportation, which is unavoidable. 7.About return: If the goods are damaged or missing, please take a photo of the customer and contact us to confirm. We will investigate and give you a perfect solution.